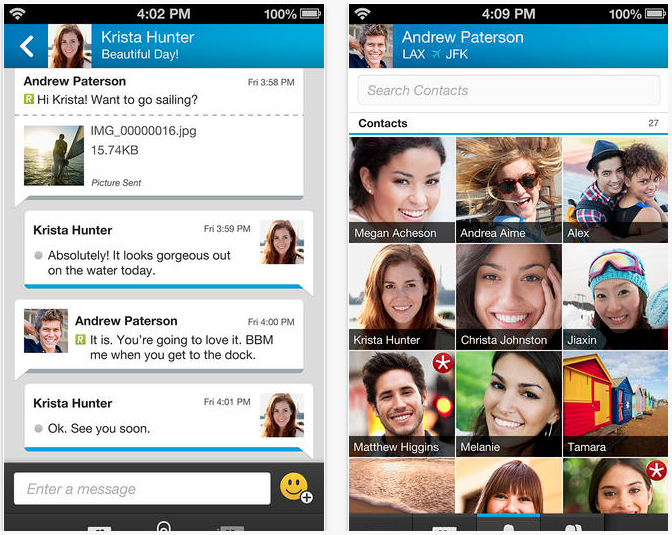 BlackBerry has quickly push through an update to BBM for iPhone. Now at version 1.0.2.114, this update fixes issues users experienced with the recent iOS 7.0.3 update (incorrect fonts and problems sending/receiving images). In addition, BBM for iPhone now allows you to have contact categories and list and filter your BBM Groups.